In this exciting story, Karen and Eddy are called by the Good King to return to Carnal City to share the Light of Truth with the citizens. Their mission is going to be a rough one because the Master of Darkness is going to make things very hard for them. Will the two Lightbearers remain strong in the Good King as the mayor of city fights against them? Will they cave in when their lives are on the line? Read and see! 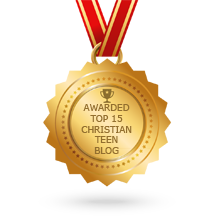 This entry was posted in A CLICK A BLESSING TODAY, Christian Life and the Word - Lightbearers for Jesus and tagged Bible, Christian, Courage, Light, Persecution, Power of God, Story, strength, trusting God. Bookmark the permalink.